Following the rapid development of open distance education and the enrichment of online resources and Learning Management Systems in Asia, the quality of interactions amongst learners and online content, teacher and peers has become one of the imperative factors in determining the efficacy of web-based teaching-learning. Online learning is distinctive as compared to face-to-face interaction in terms of how the course material is presented, the nature of interactions, and overall learning experience. 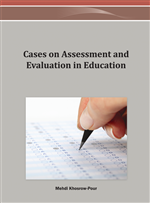 This case study explores the understanding, expectation and experience of learners from China and Malaysia based on vital aspects of learning in the web-based environment such as the concept of teaching and learning, the role of the teacher, communication patterns in the virtual classroom, relationships with the teacher and the classmates, and attitudes towards learning achievement. These are reflected in the learning patterns and behavior of online learners as observed in their interaction with the web-based content and participation in the online forum discussions within the online Learning Management Systems. In addition, this case highlights the influence of national culture towards learners’ interaction as displayed in their online learning activities. The People’s Republic of China, located at Eastern Asia, has a population of 1,338,612,968, with 72.1% in the age group of 15 – 64 years (male 51.4%/female 48.6%), a median age of 34.1 years, and having about 253 million Internet users (Central Intelligence Agency, 2009a). China has more than five thousand years of culture and the people in China are strong influenced by the Confucian philosophy. ‘Han’ is the major ethnic group in the population of China and the ‘Han’ language, or Mandarin language, is the official language of the country. For the past three decades, China has experienced rapid economic growth as well as a more open society. China has a nationwide system of public education, which includes primary schools, middle schools (lower and upper), and universities, with literacy rate of about 92% (Wikipedia, 2009a). Online education in China has benefited students of remote and under-developed areas in China while students who failed university entrance examinations and working people are provided with an opportunity of lifelong education. The Ministry of Education in China has approved 68 ordinary schools of higher learning and the Central Radio and TV University to pilot modern distance education. By the end of 2003, these schools had established 2,027 off-campus learning centers around China, offering 140 majors in ten disciplines, and had a total enrollment of 1.373 million (Wikipedia, 2009a). The utilization of broadband technology has also promoted online education while the China Education and Research Network started in 1994, is China's second largest Internet network, covering all major cities of China. Malaysia, located in the Southeastern Asia, is a country with an open economy and stable socio-economic development. Malaysia has a population of 25,715,819, with 63.6% in the age group of 15-64 years (male 50.2%/female 49.8%), a median age of 24.9 years, and having about 15.868 million Internet users (Central Intelligence Agency, 2009b). The personal computer penetration level in Malaysia is about 11 per cent, i.e. below the world average of 35 percent and only 5 percent of Malaysians surf the Internet, compared with the world average of 30 percent (Netto, 2009). Malaysians comprise of three major ethnic groups, namely Malay, Chinese and Indians. The Malay language or Bahasa Malaysia is the official language of the country. Education in Malaysia broadly consists of stages which include: pre-school, primary education, secondary education, tertiary education and postgraduate, with literacy rate of about 91.5% (Wikipedia, 2009b). Enrollments in private Higher Education Institutions in Malaysia have increased by 60.1% between 1998–2000 and 20.0% between 2003–2005 (World Bank, 2006). Distance education in Malaysia started off with correspondence schools and private institutions offering correspondence courses. Distance education at tertiary level in Malaysia was first introduced and implemented by Universiti Sains Malaysia in 1971 at its then Center for Off-campus Studies, conducted mainly via printed materials and face-to-face classes. As Malaysia progresses into the information age, the Seventh Malaysian Plan put in place the necessary infrastructure and environment for the development of information and communication technology (ICT), in which a key initiative was the Multimedia Super Corridor - designed as a world test-bed for ICT development. Consequently, multimedia technologies create the infrastructure for new educational network of the entire educational system incorporating the use of modern technologies and facilities. The liberalization of education in Malaysia has been demonstrated through the policy decision by the Ministry of Higher Education on open entry to higher education accorded to three open distance education institutions, i.e. Open University Malaysia, Universiti Tun Abdul Razak and Wawasan Open University.